One of my favorite Altenew stamp and die sets is Vintage Flowers. This stamp set is uber versatile. It contains images for the classically beautiful rose as well as other flowers and leaves in style and size. Can you believe there are 43 stamps in this set? Here are a couple of cards I made quickly with the Vintage Flowers stamp set. I found this set very easy to layer and create images with depth and dimension. 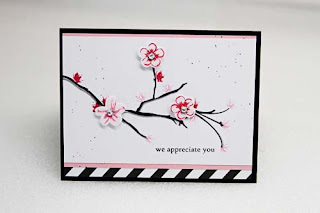 And another card using the Vintage Flowers stamp set with different dye inks from Altenew. 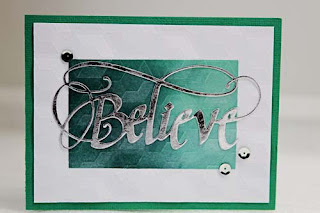 Have you ever felt frustrated because your adhesive is oozing around your delicate die cuts? That you struggle to tack down your filigree die cut? 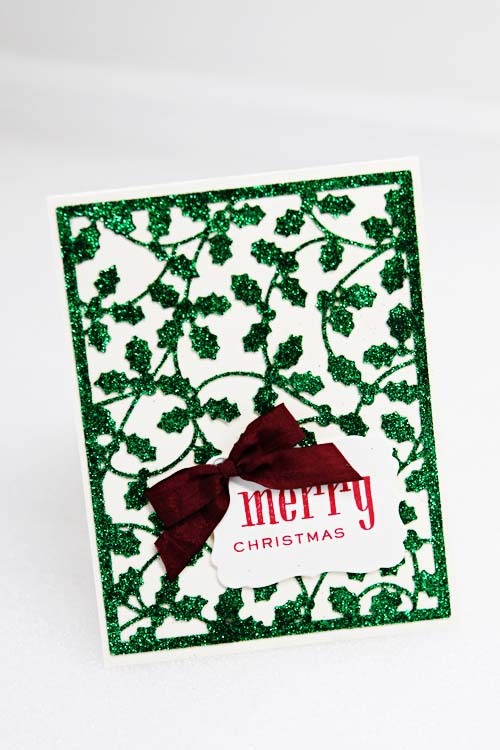 That you made a mess in your craft space as you glittered, foiled or embossed a filigree die cut? Well consider using Stick It! This relatively new product is absolutely fantastic. 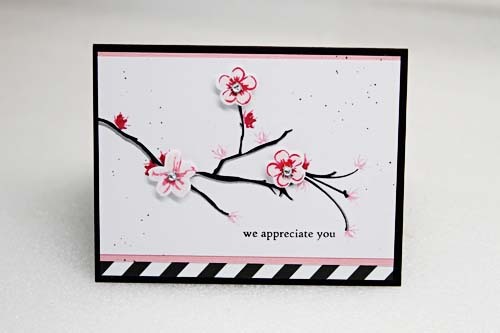 The adhesive is wafer thin and when sandwiched with cardstock and a die, it passes easily through your die cut machine. Check out the cards below. 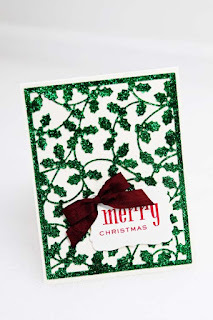 This Taylored Expressions Holly die was cut from a Stick It-cardstock sandwich and then glittered using Glitter Ritz. 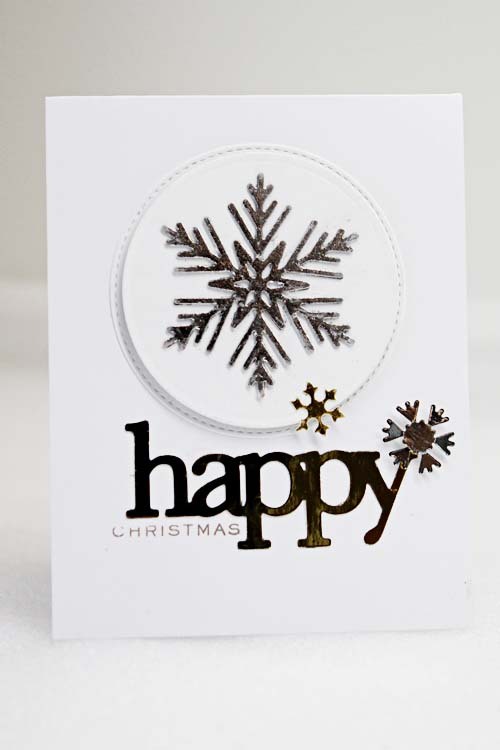 Again, using a Taylored Expressions die, all the intricate pieces were adhered securely to the card background. 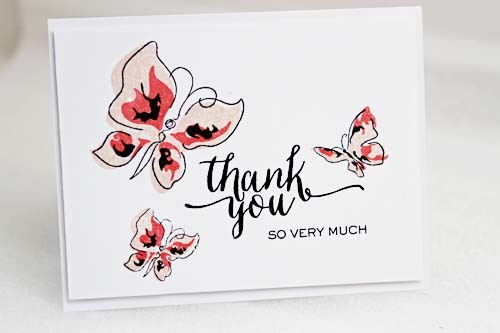 Once the Stick It - cardstock combination was die cut, I removed the release paper and adhered my die cut easily to the background. 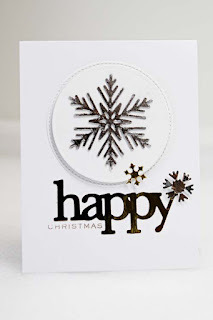 Using Wplus9 snowflake dies that Sandy specially ordered for me, I used the Heidi Swapp Minc to foil the snowflakes and the Happy sentiment. The foiled finish was smooth and even - no bubbles. Just to provide you with a frame of reference, I cut 60 of the Believe dies from the large package of Stick It. 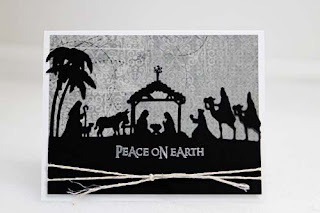 The die cuts were then foiled and adhered to the card background. I hope you love the Stick It as much as I do! Another wonderful layered stamp set from Altenew is Painted Butterflies. This set is also very forgiving if you are new to the layered stamps world. 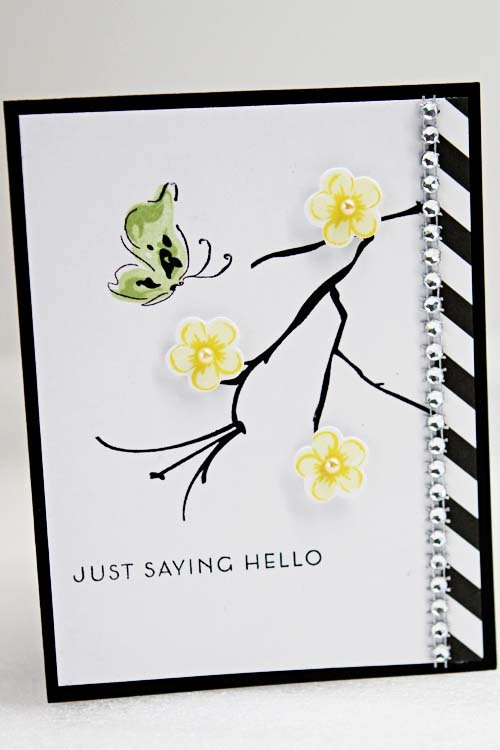 As well, this stamp set is like a LBD (little black dress) in that it is a staple in your stamp stash and can be dressed up or dressed down depending on the occasion. The butterflies can be glittered, sequined or layered with another stamped butterfly image from the set. 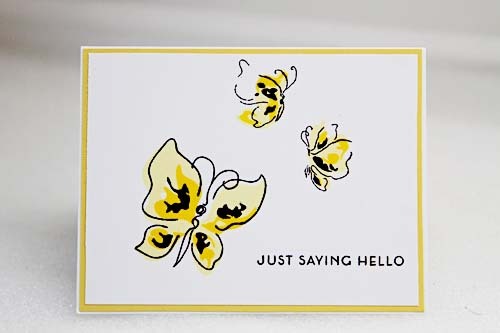 (Pssst the dies are available for this stamp set - just contact Sandy directly.) Most of the Altenew stamp sets come with several sentiments that can be used for a variety of cards and layouts. What do you think of this wonderful stamp set?